The development of the Industrial Machinery and Equipment Manufacturing industry is in the midst of being shaped by the emerging industry trends. Today’s manufacturers have to meet their customers’ expectation of providing unique capabilities, precise specifications and constant accuracy in their products. It's critical for industry professionals to work out a clear definition of what they are, how they will evolve, and how they can boost the company's operations both now and in the future. Facing the challenge of managing the complexity in business, meeting customer demand and integrating technologies into processes, what can industrial Machinery and Equipment manufacturers do to utilise the efficiencies of Industry 4.0? 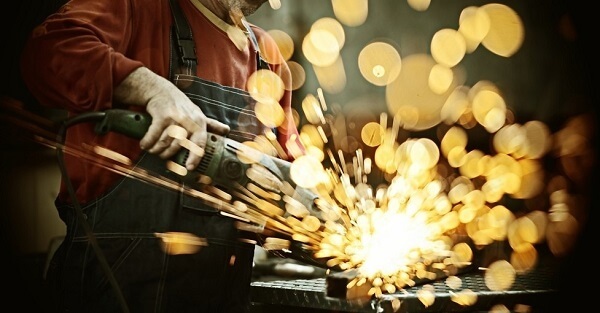 Read more: Can Manufacturers Meet Changing Demand without Sacrificing Efficiency? Environmental Regulation: It is the manufacturer’s responsibility to keep their exhaust, wastewater, and production waste in compliance with the ever-increasing government environmental standards. Increasing Equipment Rental Demand: Industry’s users are shifting from purchase to rental, causing manufacturers to invest more in marketing and focus on national equipment rental chains. Smart Manufacturing: Manufacturers are developing technology platforms and new operating models for “Smart Machines” to leverage data analytics and enable connected products and services. New Factory Designs: Manufacturers have to upgrade their machinery to enable versatility and ease in configuring so that they can meet customers’ changing demands. Complex Supply Chains: Manufacturers have to deal with the rising complexity in the supply chains, such as the differences in local and international suppliers, the diversified distribution and retail networks. Rapid Technological Improvements: Along with the fast-moving advancement, the machinery has become more complicated after being computerised with sensors and controls. Those who failed to keep up with the development will enlarge the gap in their product technology. Intense Competition: Small and medium manufacturers are moving their business to developing countries to take advantage of the lower cost of labour, local resources and distribution. Therefore, avoiding the competition against large manufacturers. Volatile Raw Material Prices: Manufacturing costs are becoming unstable due to the fluctuations in raw material prices and the rising energy costs, causing products’ margins to drop, or forcing manufacturers to pass on the price burden to the customers. Emphasis on Fuel Efficiency: Fluctuating fuel price leads to the need for more fuel-efficient industrial machinery. Improving Design Processes: New machinery design tools such as rapid prototyping and CAD simulation with new manufacturing technologies have helped to improve the machinery effectiveness and lower costs. Growth in Selected Segments: As growth rates have varied among market segments, manufacturers operating in various niches have been able to capture product, geographic, and incentive benefits. Transforming to Digital: Production processes are being transformed by digital technologies to increase the automation of operations and to reduce the dependency on labour. Industry 4.0 helps to automate and digitalise processes vertically, transforming the traditional manufacture into ‘smart industry’ or ‘smart manufacturing’. Industry 4.0 allows manufacturers to focus on the end-to-end digitisation of all physical assets and the integration into the digital ecosystems; provides processes status across the entire organisation, from product development and purchasing, through manufacturing, logistics and service. Industry 4.0 Components consist of: Big Data Analytics, Internet of Things, Robotics, Augmented Reality, 3D Printing and Cloud Technology. Productivity improvements: Updating processes to Industry 4.0 provides manufacturers with multiple improvements. From maximising asset utilisation, minimising downtime, enhancing labour efficiency to effectively managing supply network costs and synchronisation, and schedule and plan for accuracy. Risk reduction: With the help from technology, manufacturing risks can be controlled, minimised or even removed. Specifically, businesses can ensure the raw material price and availability, manage warranty and recalls, and mitigate geographic risks effectively. Incremental revenue: The high-tech applications can affect a business’s revenue significantly, including finding sources of growth for the core business, growing aftermarket revenue streams, gaining E-customer understanding and insights, and strengthening customer integration and channels. New revenue: Technology integration creates new products and service offerings, opens up opportunities to expand internationally and in emerging markets, plus identifies M&A opportunities. High-tech applications are predicted to add up to US$493 bn in increased annual revenues for the next five years, which is equal to 2.9% revenue increase each year, averagely. In addition, digital technologies enable shorter operational lead times, higher asset utilisation, thereby, manufacturers can reduce costs up to 3.6% p.a. on average. Businesses in the industry are planning to commit US$907 bn p.a. on digital technologies like sensors or connectivity devices, and on software and applications. Planning for Demand Cycles: Addressing the changing economic conditions with accurate demand forecasting. Countering Low-Cost Competitors: Pursue enhanced customer service, flexible resource allocation, high-quality engineering, and/or offshore manufacturing. Procuring Raw Materials at Favorable Costs: Secure long-term supply contracts with cost adjustments, aligned with demand forecasts. Planning Capital Spending Cycles: Engage in capital investments during production downtimes, to introduce new products and improve operational efficiency. Read more: How will the Internet of Things (IoT) Impact Manufacturing? Improving Production Efficiency: Analyse data to identify opportunities to decrease per unit costs and improve both on-time delivery and quality. Integrating Technology Platforms: Support IT systems that work together to deliver real-time feedback, facilitating efficiency and problem identification. Enhancing Customer Satisfaction: Offer improved transparency of order status and delivery time to clients. Hire Visionaries and Creators: Expand the hiring parameters to go beyond engineering and mechanical skills, train workers in the latest techniques, and adopt measures to automate operations. Subscribe to TRG Blog and get instant notifications when we publish new content or learn more about an Enterprise Resource Planning system by downloading our whitepaper below!